Kids closet doors stack to optimize the opening and give easy access to everything inside. Milky glass, wenge frames. Space saving room divider, frosted glass, black frames, low profile track. Stacking closet doors with silver frames and milky glass save space. Stacking room divider is the decor focal point of this space. Open air systems allow sharing of lighting, heating and air conditioning reducing energy costs. 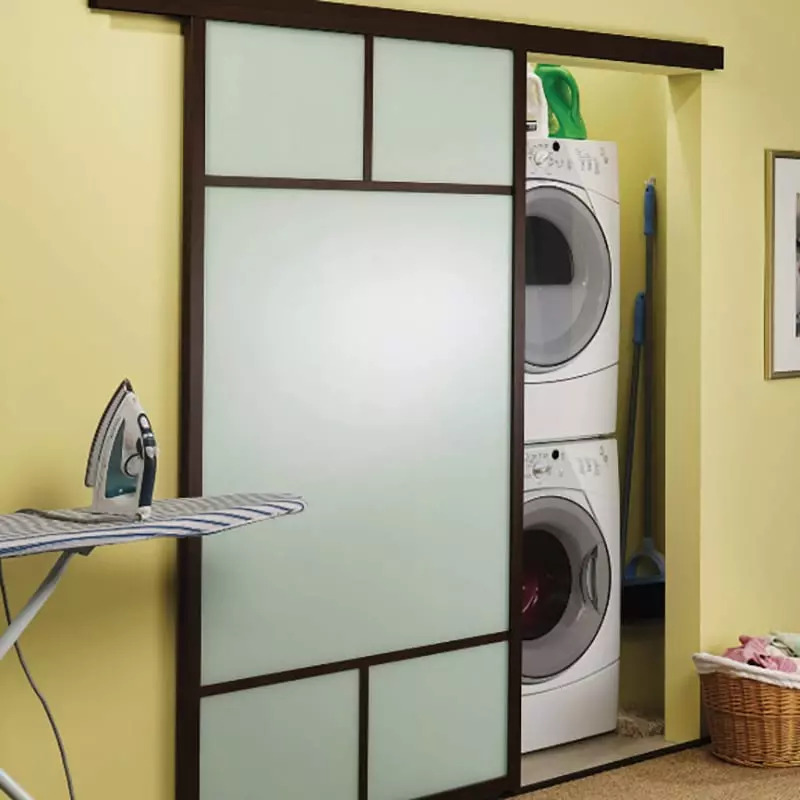 Easy glide closet doors with milky glass and white frame doubles as a dry erase board for fun. We build to your project's specifications! The 3S Smart Shut System protects peace of mind and loved ones from slamming doors. The slam proof damper eases doors to a stop for a softer sound and safer home. Now you can relax in your favorite personal oasis. Visit our Photo Gallery for inspiration. Space saving room divider stacks to either side opening up the floor plan with the smoothest glide on the planet. Pantry front with frosted glass and slender silver aluminum frames are the perfect solution for easy access to everything inside! Triple track stacking closet doors allow easy access to everything inside. Milky glass, wenge finish slim frames and divider strips for style complete any room in the house! Space saving suspended room divider with NO bottom track separates two individual rooms with visual privacy and provides a completely open floor plan at any time!